Last December, I blogged about the extraordinary discovery of hundreds of well-preserved artifacts from the daily life of the Bronze Age residents of what is today the Must Farm Quarry in Whittlesey, southeast England. 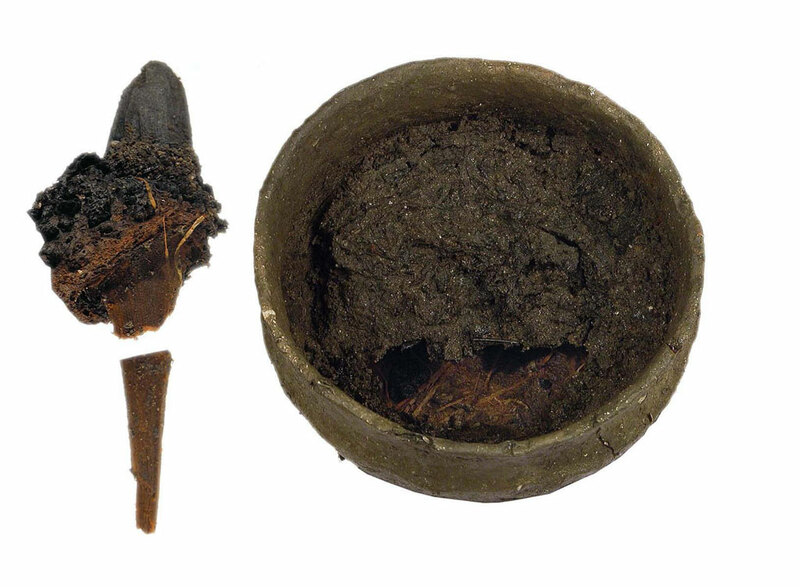 Hundreds of 3,000-year-old artifacts were found, among them textiles, swords, eel traps, spear tips, tools, a charred platform bridge and bowls of nettle stew, nettle stew still within. 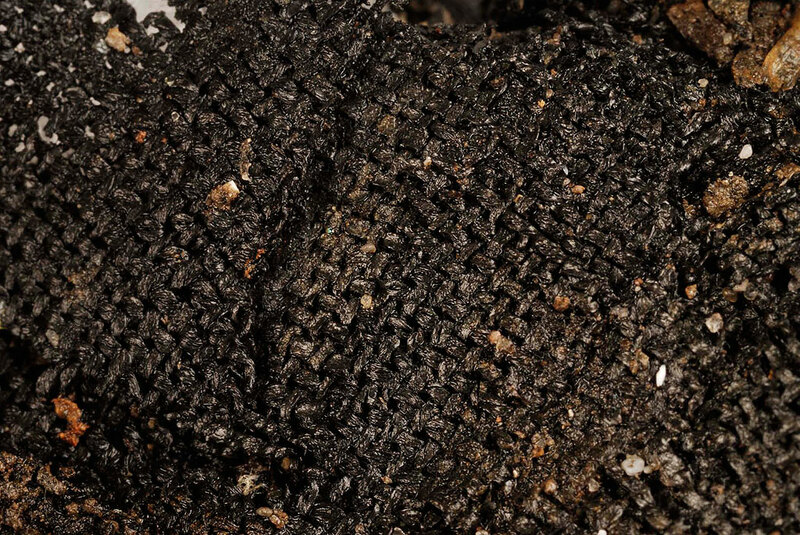 It’s the largest Bronze Age find ever made in Britain. The most astonishing discoveries were six log boats dug out of oak and ash trunks. 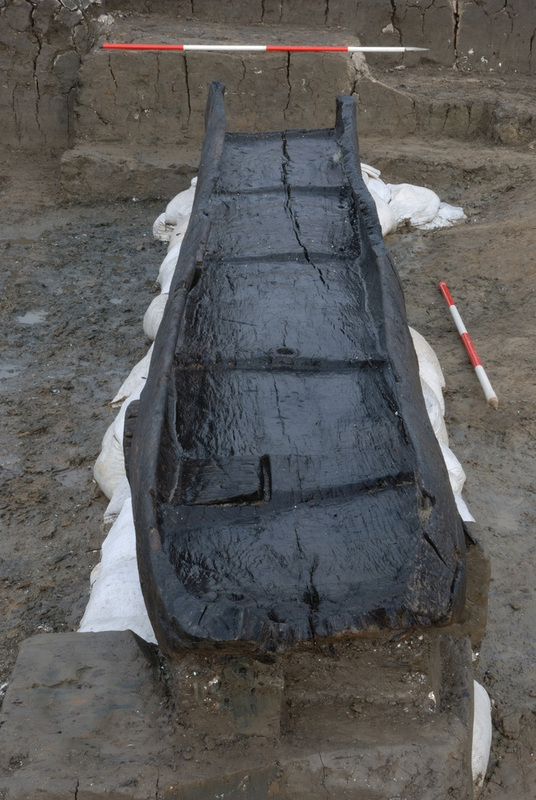 Finding an entire wooden boat from the Bronze Age is rare but not unheard of; finding six seemed nigh on miraculous. Now that already exceptional number has increased to eight and the team from Cambridge Archaeological Unit is still excavating. It’s the unique geology of the Cambridgeshire fens that has kept this slice of Bronze Age life preserved 13 feet below ground level. If it hadn’t been for brick-making company Hanson which owns the quarry and mines its Jurassic clay to make their bricks, it’s unlikely that anybody would have dug so deep to find a 3000-year-old fishing village virtually frozen in time. Laudably, the company is funding the archaeological exploration and has promised to continue to do so. When I first posted about this spectacular find, there were only a couple of small pictures in news stories and it was a huge bummer for me and everyone reading. Two days later, Cambridge Archaeological Unit photographer Dave Webb posted a comment to the entry with a link to a bunch of great pictures, particularly of those spectacular dugout canoes. I edited the link into the entry, but I think most people missed that the first time. Now I’m making up for it and then some. Past Horizons has posted a second set of David Webb’s pictures, these focusing on some of the other artifacts, like a bronze sickle or bill hook, spear heads, some textiles and the bowl of stew. 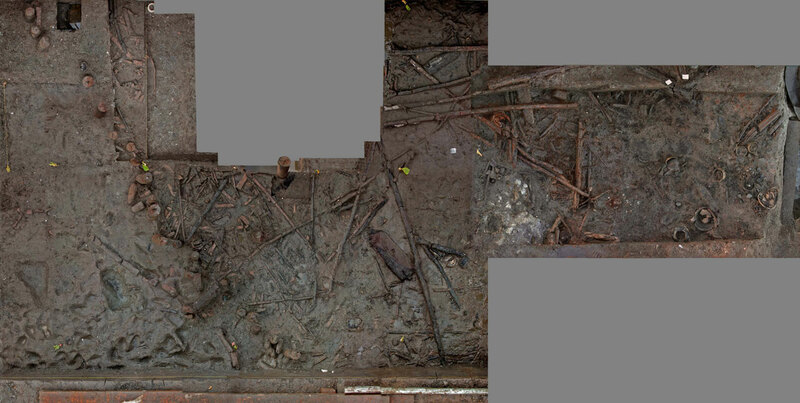 They also have a composite picture showing one of the excavation areas (the one with the collapsed platform) peppered with artifacts. This entry was posted on Friday, April 6th, 2012 at 11:58 PM	and is filed under Ancient, Treasures. You can follow any responses to this entry through the RSS 2.0 feed. You can skip to the end and leave a response. Pinging is currently not allowed. Wow, its almost like the pompeii of the bronze age, amazing. Truly. Bronze Age civilization doesn’t get much respect in historical overviews of Britain because the archaeology is limited and because there’s more of a cachet to the more “advanced” Romans and Anglo-Saxons. 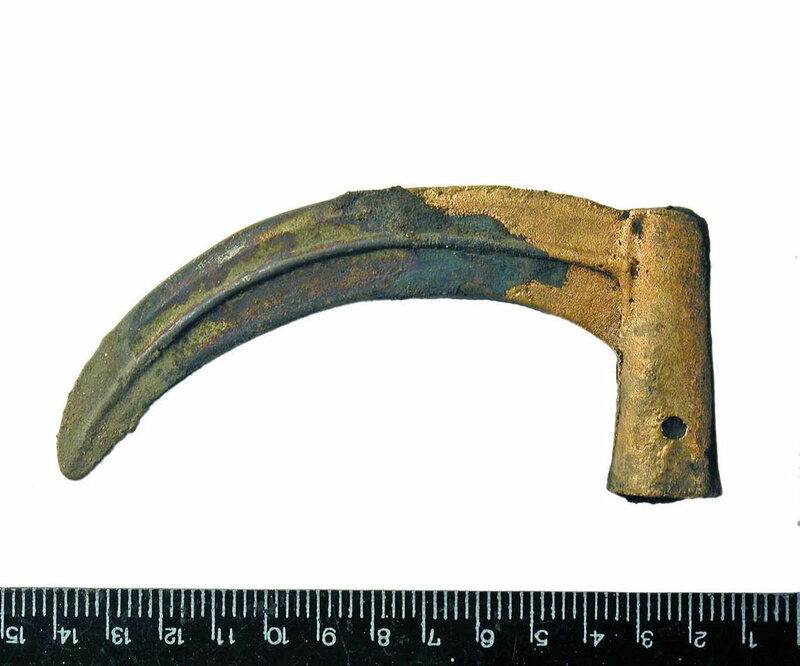 This discovery reveals so much about the way Bronze Age Britons lived, and you can really see the high level of craftsmanship and skill they employed in their everyday lives. Sure would like the recipe for NETTLE STEW. Does not sound very appetizing. Arent nettles sharp painful plants? They are, but you’re supposed to harvest the young ones (you still have to use to gloves because they are prickly) and then chop them up. Once they’re cooked down into stew, there are no pointy parts left. Here’s a Scandinavian recipe that looks damn good. It’s odd that no remains have been found. Most explanations for the abrupt leave would still consume bodies, as in a mudslide, invasion, or severe plague. A flood could explain no bodies, but not why the rest of the stuff didn’t get washed away. Foreign invaders probably didn’t care to bury the enemy, although if they did bother to cremate the dead (where are the urns?) and took the rest as slaves, I suppose that kind of works. I just can’t imagine the soil decomposed bone if food and textiles survive. Anyone more knowledgeble in arch. have theories? Just for fun, of course. We won’t have good hypothesis material until years from now when everything is dug up and studied. Remains were often buried elsewhere. Either in cemeteries that might be burial mounds or in urn fields for cremations. Sometimes the two are mixed. For the objects that appear ‘abandoned’ they are likely accidental losses or offerings of a votive nature (not all of course). I’m at Southampton uni and dug on Bronze Age burial sites, they can be considered areas of special social and cultural importance to the point they have to be very separate to domestic areas.